The Learn Internet Governance is an open internet learning platform that focuses on sharing and using knowledge and resource available under the community collaborative development program . The concept was founded by Shreedeep Rayamajhi and Sajina Karki. 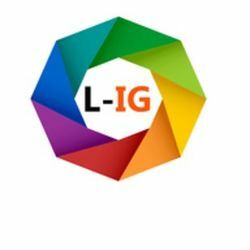 Learn IG was founded in 2015 with the basic motive of providing youth awareness and capacity building for the youth. Learn IG has been Involved with developing various toolkit and facilitating various national and regional Internet governance programs. This page was last edited on 30 October 2018, at 06:46.